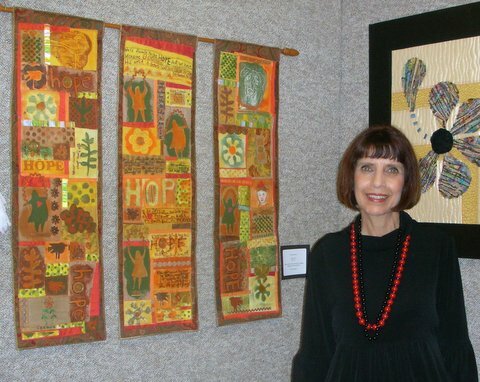 Fran Patterson is a mixed media artist living and working in Austin, Texas whose work has been described as contemporary folk art. Using images of figures, imaginary animals, flowers, birds and abstract shapes and various techniques and narratives, she makes magic from the mundane. Her goal is to make the viewer smile while enjoying her artwork. Loving the question – "What could be? "– she constantly explores multiple possibilities in collages of unrelated, found, and unusual objects. In the process, she finds new meanings and connections as she brings them together – inviting the viewer to find their own interpretations in her work. Creating art since childhood, her body of work is inspired by primitive, outsider and children's artwork. 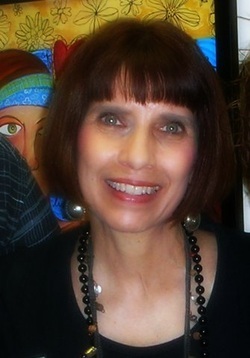 After graduating from Texas Tech University with a degree in art education, she enjoyed expanding her education by attending many art workshops across the United States and Mexico. During her career, she held several art-related positions teaching art in public and private schools, recreation centers, refugee programs, specialized workshops, prison ministries, art as a therapy in a psychiatric hospital, and staging and decorating houses. Exhibiting in local galleries, teaching, entering art shows, and being published in magazines and books add fuel to her creative energy. One of her latest projects was to have a collection of her paintings made into greeting cards to help raise money for a Romanian orphanage. It is said that every time an artist creates something new, its like embarking on a journey with purpose, but without expectations - taking each step with the anticipation of being delighted, surprised and enlightened. My work has been described as "fanciful folk art," using "childlike playfulness and spirited spiritually," in addressing the subjects of my imagination and fantasies. Working with scrap fabrics, paints, threads, chalks, papers, glitter, buttons, and found objects, I delight in making something new out of seemingly meaningless objects that most people would throw away. The colors, collaged papers, cut shapes and multiple textures tell a narrative of their own. The process is all consuming as I explore and celebrate both the subject and materials. The work itself tells me what to do next. I embrace the unexpected and leave plenty of room for fortunate mistakes. The goal of my work is to evoke a playful response that transcends cultural and language barriers. I transpose art elements into emotional connections. I hope my work opens your heart to joyful and thoughtful reflection as I share my hopes, memories, and dreams. As an artist who has captured the essence of my faith, I aspire others to do likewise.